Discover the natural beauty of Florida! 24 foot/13 person Pontoon Boat for spending the day on Lake Santa Fe! 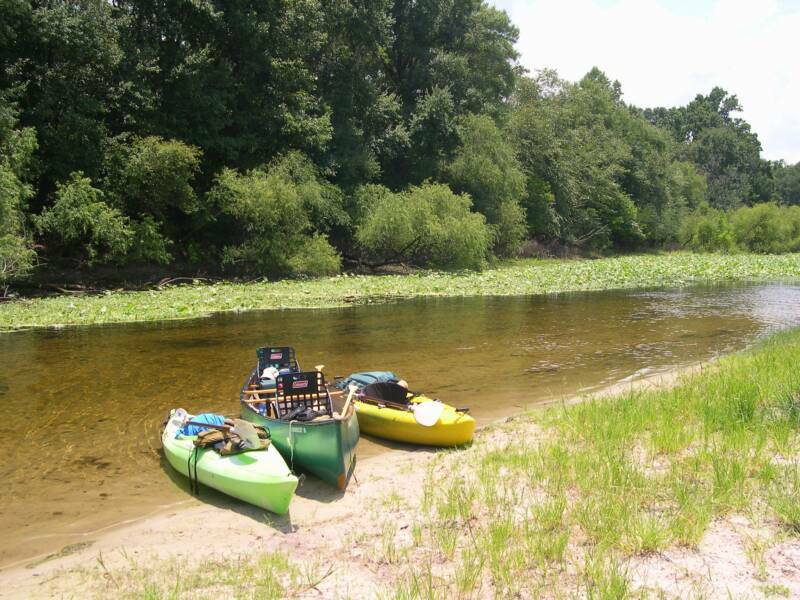 PreConstruction pic of John w dogs & kayaks. 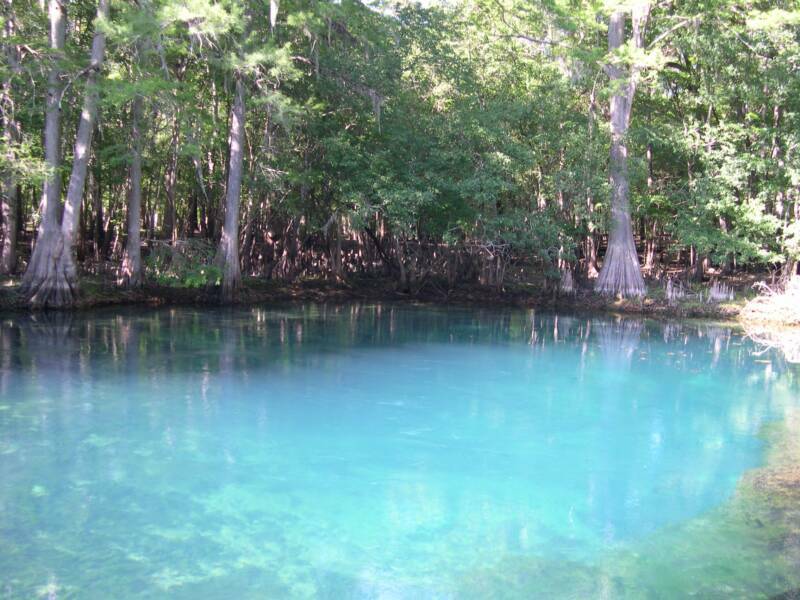 Manatee Springs State Park in April of 2004. Dagger Cypress, Old Town Penobscot, and Dagger Pegasus on Santa Fe River near I-75 bridge. July04. This swim beach now has lots of water! 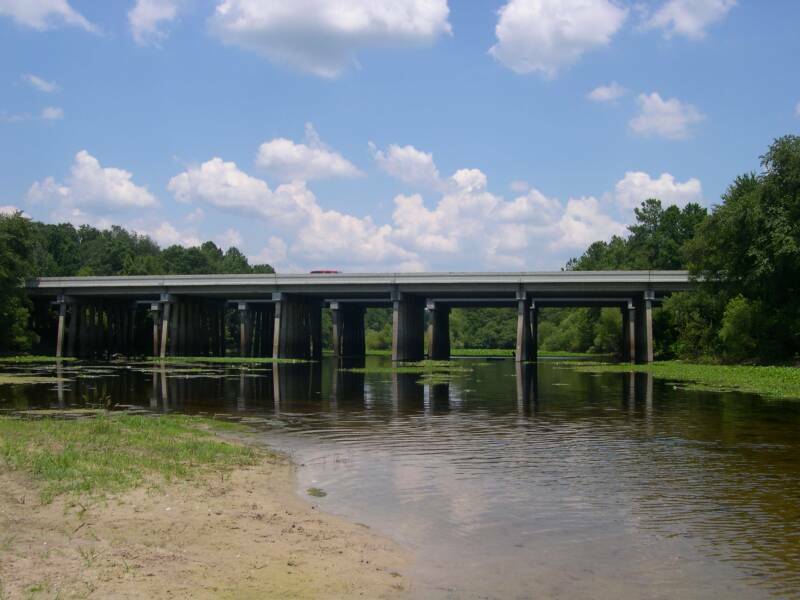 The Santa Fe River runs under I-75 to O'Leno State Park. This picture was taken July 2004. The river changed dramatically after the four 2004 hurricanes. Now the river is full of water! 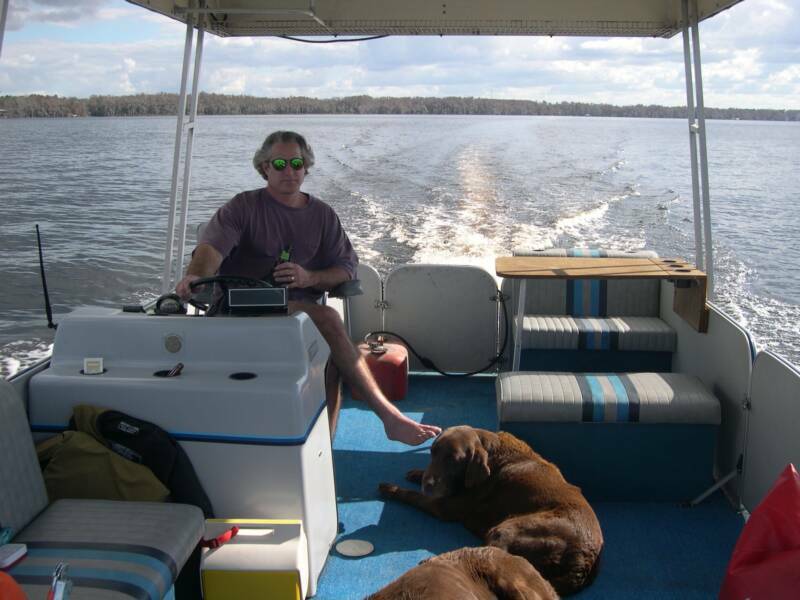 on Lake Santa Fe with our pontoon boat! 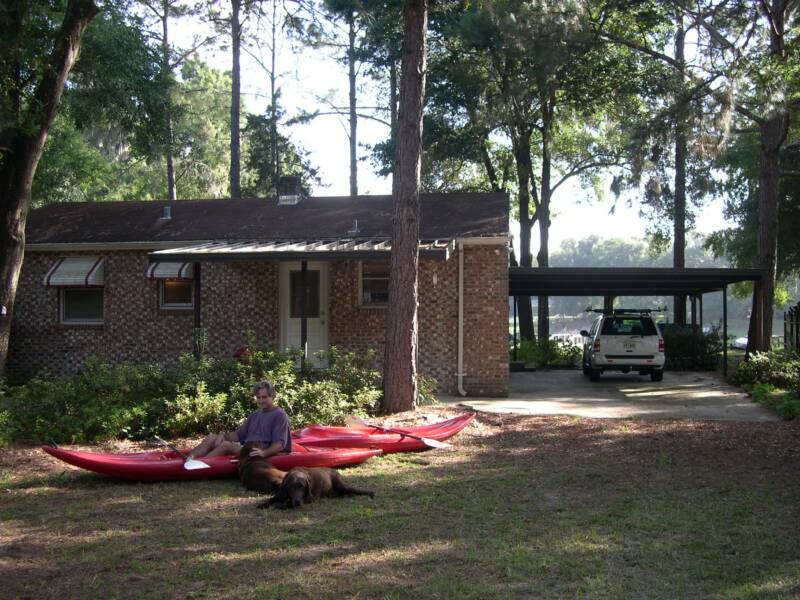 There have been so many changes since buying the 'canoe cabin' in the picture above!